Q: We’re stressing over a potential remodel project. Any tips to help us along the way? A: You’ve made the decision to turn your dream home into a reality — congratulations. Here’s what you need to know: basic do’s and don’ts, with don’ts listed first because, like your remodel, we want you to end on a good note. Leave any detail unnoticed, no matter how trivial you might think it is. Experienced remodelers will tell you to put together an extensive decorating file on how you envision your renovation, which includes accurate floor plans and measurements. Panic over things you can’t control. Dust and dirt happen during a renovation, as do unforeseen circumstances like material and permitting delays, and design changes mid-remodel. You adapt, you move on, you might even get what you wanted without realized you wanted it in the first place. Try to take things on yourself. Your home is likely your biggest investment, and any renovations done within that realm need to be taken so accordingly. Performing internal surgery on yourself? Performing a home remodel? Don’t try either unless you want a ton of painful recuperation. Plan ahead. You might be surprised at the waiting list of many Puget Sound-area remodelers, some of which rival Santa’s annual Naughty or Nice document. If a home remodel is on your wish list this year or next, don’t hesitate — meet with potential remodelers and get a timeline going. They’ll happily walk you through a realistic estimate of how long each aspect of your project will take, which can include permitting and materials availability, depending on the size and scope of what you want done. Interview your potential contractors. Treat it like any other working relationship. You need to know you can trust and get along with the person in charge of your sizable investment and that they’ll be able to deliver what you’re asking for — realistically, of course. Hire a professional to get the job done right. You might think your non-licensed brother-in-law can do the job for a quarter of the price, but you’ll soon realize that you probably aren’t as handy as you think you are and that your brother-in-law is only about a quarter qualified for the job. Renovations done right will likely cost you, but it’s nothing compared to the safety and sanity you’ll risk trying to go cheap — not to mention the costs to fix things that weren’t done right the first time around. On that note, do visit the Remodeled Homes Tour, a free open-house tour taking place Oct. 27–28 in 15 convenient locations throughout King County. Stops include beautifully remodeled homes in Shoreline, Renton, Queen Anne and throughout the Eastside, including Issaquah. 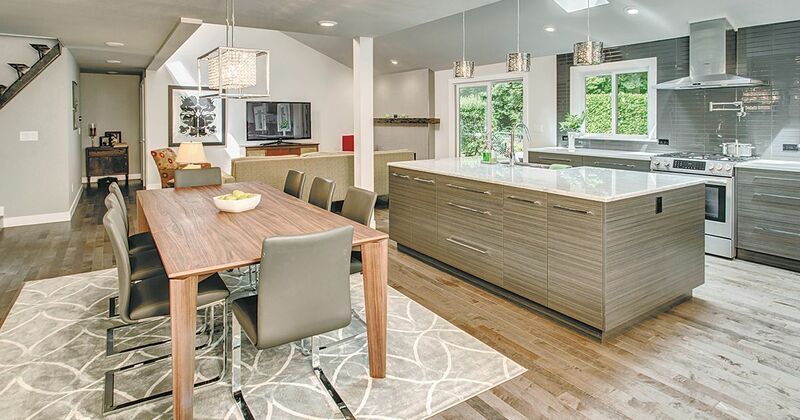 The Remodeled Homes Tour occurs annually and is produced by professional remodel members of the Master Builders Association of King and Snohomish Counties. With all homes open from 10 a.m. to 5 p.m. Oct. 27 and select homes available during the same period on Oct. 28, visitors can get a hands-on look at the latest in residential renovations and in-home technology. Guests can also chat with the remodel pros themselves, all of whom will be on-site to talk through their work and answer questions you might have on your own upcoming project. Remodeled Homes Tour tickets are free and available at remodeltour.com/free-tickets.